Discussion in 'Politics' started by Freewill, Dec 20, 2013. I guess if you like it cold this is good news. Personally I like it a bit warmer. My gas bill so far this winter makes a mockery of all the drooling yammer about global warming. Start planning your summer travel arrangements now, because according to data released Tuesday, Earth had its warmest November on record since 1891 &#8211; the year scientists began collecting temperature data. The report, released by the National Climate Data Center, a branch of the National Oceanic and Atmospheric Administration, found that last month marked the 37th consecutive November with an average global temperature above the 20th-century average. It was also the 345th consecutive month with an average temperature higher than the 20th- century average. The continental US comprises about 2% of the world's surface. For the globe, 2013 will place between #7 and #4 as the warmest year on record. 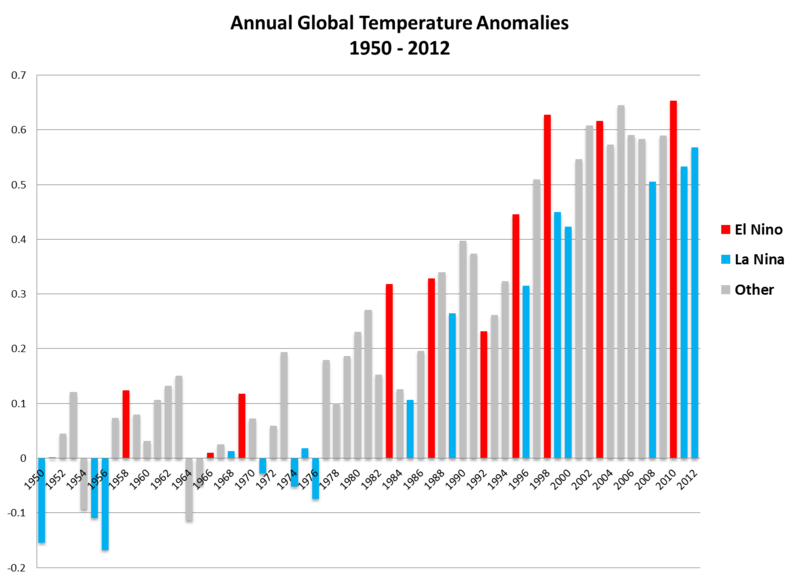 All ten of the warmest years on record have been since 1998. But fools like you flap-yap about a cooling trend. Fellow, you make a mockery of yourself whenever you try to conduct an intelligent conversasion. Out of ideas so soon? Start planning your summer travel arrangements now, because according to data released Tuesday, Earth had its warmest November on record since 1891  the year scientists began collecting temperature data. Funny how the US's weather is insignificant when it's cooler, but significant when it's warmer. Oh, well. It's not like you can expect consistency from the AGW cult. It is so warm that it snowed in Cairo, Israel and Australia in the middle of summer. Does saying it's warm really overcome the cold? It has to get a lot colder to create ice and then it melts at lower temperature in a more acidic medium. The water gets and stays a lot colder. For those of you who spent too much time in high school chemistry betting on when Candy's blouse would pop, carbolic acid COOH and hydrogen peroxide H2O2 are formed in a 2:1 ratio when water and CO2 are mixed with some energy and break up back into water and CO2 when more energy is added. So the "greenhouse" gases are actually "Freezing gases" and environmental policy is being set by people who believe the exact opposite. These idiots are going to get us killed. Someone should point out to those data doctors, that it's not the 20th century anymore. Those numbers are like saying every November on the DOW is higher than the 20th Century average. Really doesn't say much about ups and downs. Fact is --- November anomaly on the standard baseline (1979 to present) was 0.19degC.. Below most Novembers of this century.. In fact -- if you LIKE playing this game --- Nov 2013 was below 8 Novembers (2006, 1990, 2003, 2010, 2002, 2012, 2005, 2009) in the modern record. AND A LOT below the 0.29degC anomaly for October of 2013..
------ Contradicts the Satellite record .. Global satellite data to be found HERE ---- http://www.nsstc.uah.edu/data/msu/t2lt/uahncdc_lt_5.6.txt ----- first column after the months. then changed it to the AGW. since neither is happening I suspect the whole "greenhouse gases effect" is BS as there is NO effect whatsoever. But some forces which are so willing to make billions want YOU to think there is.